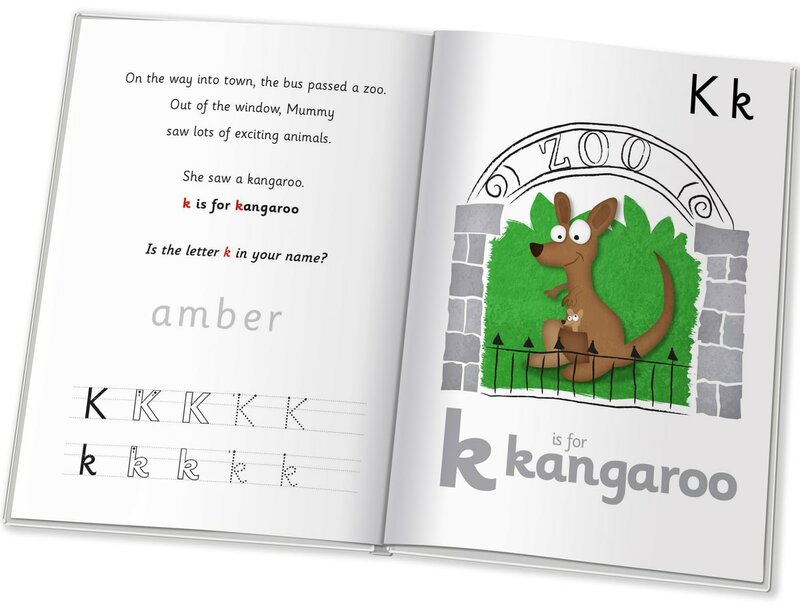 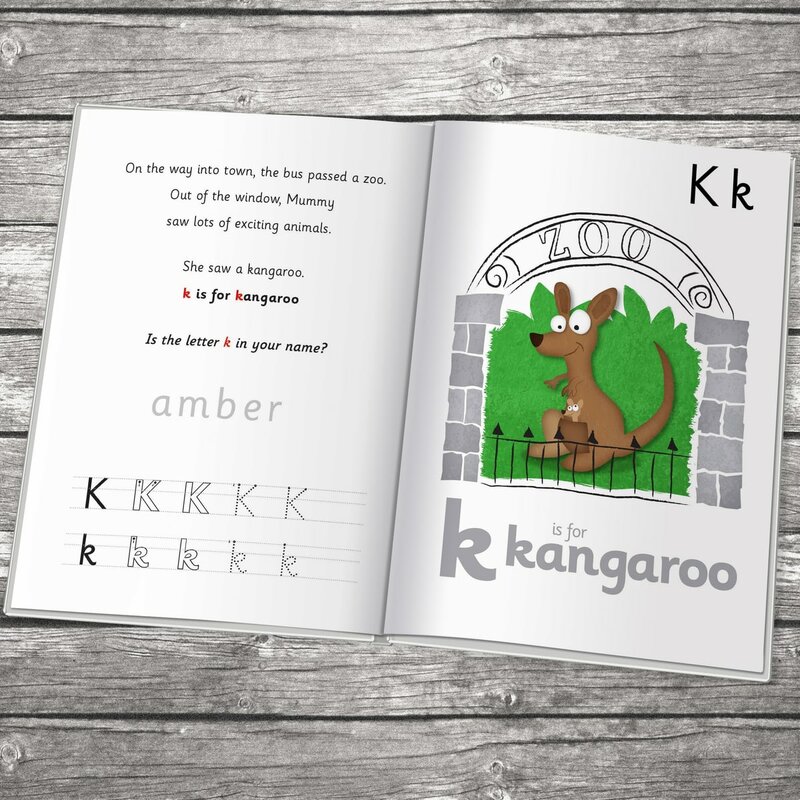 Full of colourful images of this things Mummy sees on her journey, your child is taught a different letter on each double page. 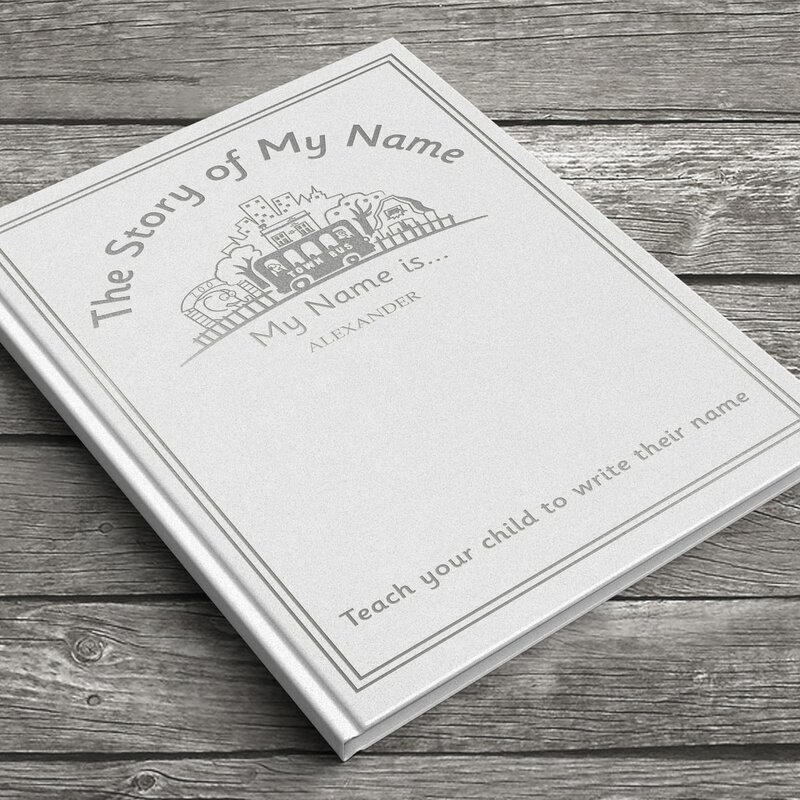 The book contains 12 characters and your youngsters' challenge is to discover which characters make up their name and which do not. 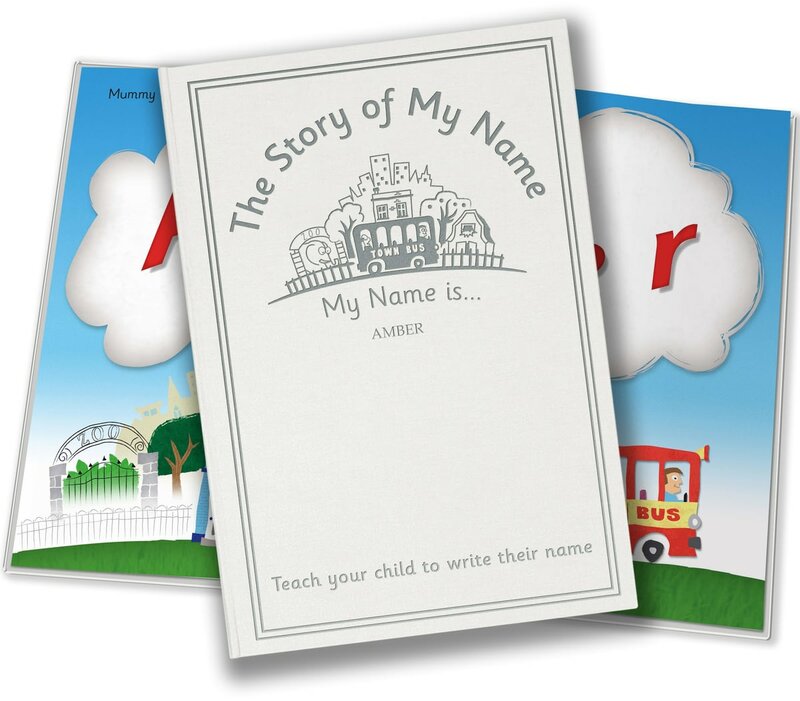 This premium, silk-finished, white hard cover book is silver embossed with a name, and the all-important bus. 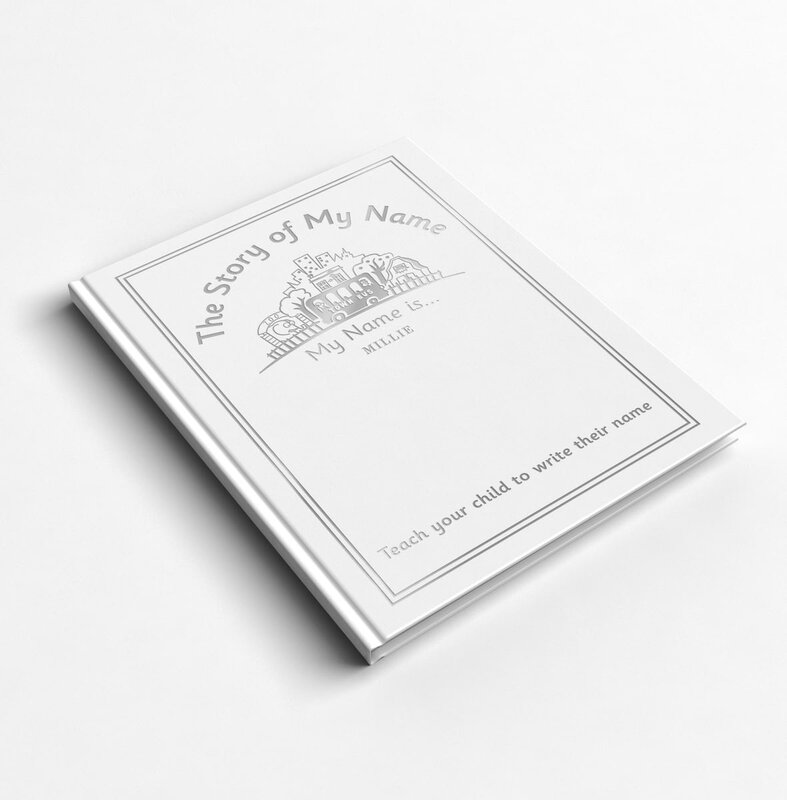 Your special message for the recipient is also printed on the opening page of the book. 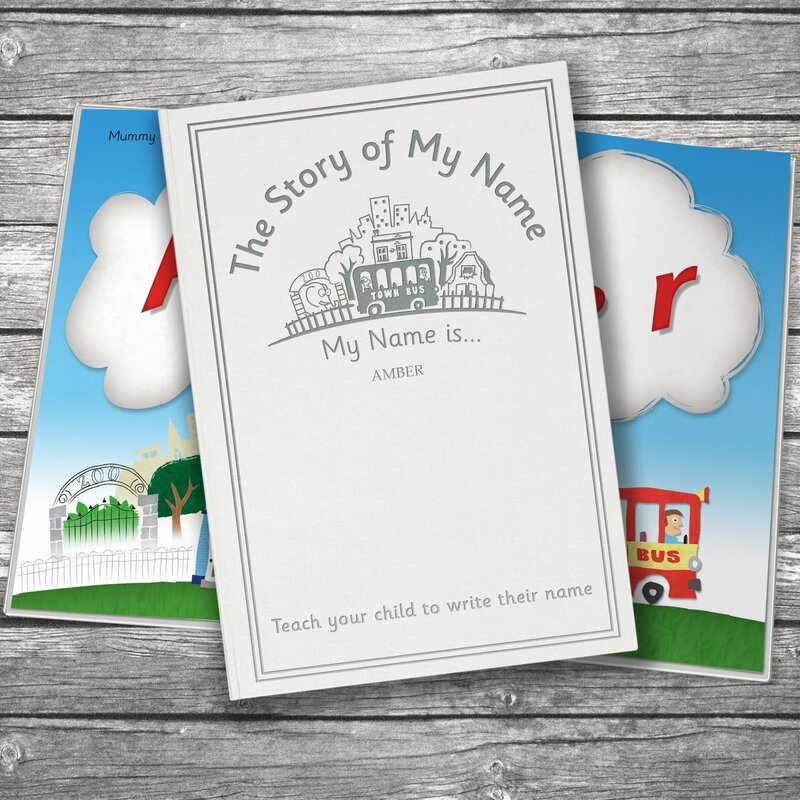 Teach your child how to write their name with this premium gift with an educational twist.